Blog > Resources > How Much Traffic Do You Need to Earn on AdSense? As I’m sure you know, AdSense is the publisher side of the Google Ads network. You install AdSense on a site, and you wait while the money rolls in. If you’re lucky, it’ll be dimes rolling down that hill into your pocketbook, not pennies! Okay, so AdSense has one flaw, and that’s the general all-around low pay. It’s a PPC network, which is always a low value proposition for all but a few extremely lucrative niches. It relies on people clicking the ads, which in turn relies on having enough people to click them to make you cash, and Google takes their cut; a hefty 32%. 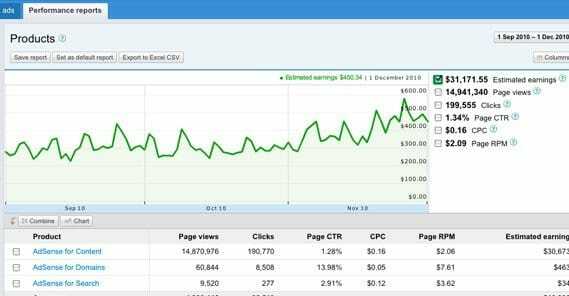 So how much traffic do you need, exactly, to earn with AdSense? 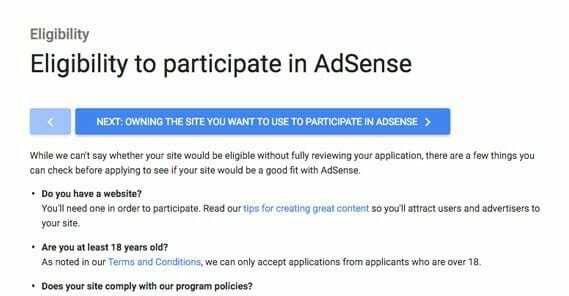 AdSense is a program open to just about everyone, but there are a few things that will disqualify your site from the program. A site that doesn’t have enough text/content on it to review will be rejected. This typically means sites that are nothing more than a single landing page, sites that have all of their content embedded in Flash or videos, and sites that are full of spam and low quality content. There are also some content industries that will get you rejected, like illegal pharmaceuticals. 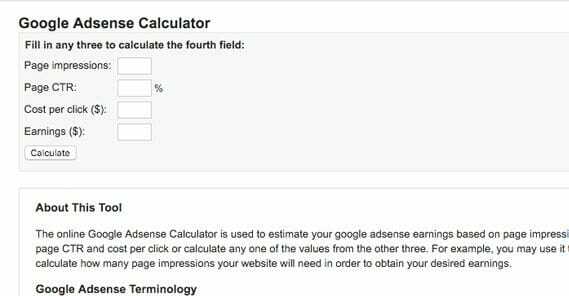 To successfully apply to AdSense, you’re going to need to verify your Google account and your ownership of the site. Verification via email and name is important, and you will need to verify your age with Google as well. Google doesn’t like when you pay for traffic outside of ad networks, and they can reject your application if they think you’re buying bot traffic, which will undermine their network. One thing that does not disqualify you is using other ad network display ads. You’re free to use something like Clicksor or CJ as much as you like. However, excessive ads on a given page will hurt your site in both organic search and paid values. It’s generally a good idea to minimize the number of ads and maximize their quality. There is no actual traffic minimum to apply to AdSense and be accepted. They don’t have minimum traffic thresholds you need to meet, like other ad networks. That said, however, if you don’t have a decent amount of traffic, you’re not going to make much money. Why even run ads if you’re earning $1 per month? One thing that endlessly frustrates newcomers to the AdSense program is the long wait time for approval. When you submit your site for review, Google claims it can take up to a week to get your site reviewed. In actuality, it can take a month or more, and there’s nothing you can do to speed it up. Or is there? To be clear, once your application is submitted, it’s too late to change things. However, you can lay some solid groundwork to make your site look better and speed up approval times. The first thing you need is a sufficient level of high quality content. You don’t necessarily need a ton, but I prefer to have somewhere around 30-40 blog posts, all of 1,500+ words in length, all unique and packed with value. You can post more, you can make them longer, or whatever you like. Just know that anything under 20 posts and anything under 1,000 words is pushing it to thin site territory, and Google is less likely to approve a thin site. You do need to make sure you’re not trying to get AdSense in a niche that doesn’t support it. Health, marketing, business, travel, social media, and other such industries are fine. By contrast, you can’t use adsense on sites that are about adult content, hate groups, copyright infringement, drugs, hacking content, violence, and other topics. You can see a list and see what constitutes items in that list over here. I know I said you’re free to keep third party ad networks on your site, but Google isn’t exactly a fan of them, even if they’re used in moderation. They won’t be the deciding factor in killing your application, but they can swing a vote in the wrong direction. I recommend removing any other ads, perhaps just leaving placeholders, to give Google more reason to approve you. Verification with Google services is generally a positive trust factor and can streamline your approval. This is two-fold; on one hand you have verification with webmaster tools, and on the other you have implementing Google analytics. By doing those two things, you get a lot of additional trust and potential value, and Google is more likely to approve your app. Other basic SEO factors are considered here as well. Using robots.txt properly is important. Using an XML sitemap is always a good idea, organically and for ads. Proper use of meta data is always welcome. Finally, of course, having a decent amount of traffic is a boon. Google has been known to approve sites that only get a small handful of views per day, but sites with more traffic get faster approval because of the potential earnings for Google they represent. Alright, so, how much traffic do you need to make a decent living off of AdSense alone? The first thing you need to do is consider how much money you want to make per month. $3,000 per month isn’t a bad goal, though it does still put you in the lower middle class. It’s also nice and easy to calculate, being about $100 per day on average. So, to make $100 per day, you need to do some math. The first thing to do is gather some data. What are the sorts of prices per click you can expect in your niche? Let’s say you’re in a reasonable mid-range niche, giving you about 25 cents per click. This is high for some niches, but low for others; I’ve seen ads that get you one cent per click, and I’ve seen ads that can have $20 clicks associated with them, although those tend to require a very specific niche audience and are hard to come by. In addition to the cost per click, you need to figure out what your click through rate is going to be. If you’ve run ads before, you can get a sense of this through their analytics. If you haven’t, you’ll have no choice but to measure and find out with actual implementation. Either way, let’s call your base click through rate 1%, which is certainly achievable. Now you do some math. You have a 1% CTR, which means 1 out of 100 visitors clicks the ad. You earn 25 cents per click, meaning you earn 25 cents per 100 views on average. That’s 400 visitors per $1, which is 40,000 visitors per your goal of $100 per day. You could also use an earnings calculator to do the math for you. Now, 40,000 visitors per day sounds excessive and hard to reach when you’re starting up a blog and only get ~10 viewers per month. Yet, you can still apply some math and make it all more reasonable. Now it’s time for some division. Say you need 40,000 views per day to make your goal. On one blog post, that would mean incredible viral exposure. You’re not limited to just one blog post, though. If you have two equally good posts, that’s 20,000 visitors per day. If you have 400 blog posts, that’s only 100 visitors each! 100 views is a lot more achievable than 40,000 for a single post. Of course, there’s going to be a lot of variation in your blog posts. Some are going to die off and get no traffic, while others will hit trending topics and get a lot more than your average traffic. There are also tweaks you can make to boost different aspects of this process. You can get more traffic, you can publish more blog posts, you can add other monetization routes for your posts, and you can work to increase your CPC and CTR. You can take a lot of different actions to increase your CPC and CTR for your AdSense ads. Position your ads in more visible locations. This helps you avoid banner blindness and allows you to position ads where people are most likely to want to click, as measured with activity trackers or heat maps. Consider using larger ad formats from AdSense. They don’t always work, particularly if they interrupt content, but you should avoid ads that are small and tucked out of the way. Don’t pick the strange shaped ads from Google. It might seem good to stand out, but remember; most advertisers don’t use those formats, so you’ll have fewer ads and less payment for them. Rotate your ads every so often. This means more than just changing content, which is going to happen with AdSense by default. You also need to change their positions from time to time, so users are less likely to start ignoring them. Try to increase the time a user spends on your site – via internal links and deeper content – to keep people around longer. More time means more ad exposure and more time to click on those ads. When your site grows to a sufficient size, implement a custom Google site search box. This allows Google to display search results ads in your site results, and gives you that extra ad unit to use for moneymaking. Look for a niche similar to your own – one you can target without excessive effort or rebranding – and see if you can find one that has a higher CPC. Targeting a niche that’s similar to yours isn’t so outside the realm of possibility. Make sure you are both mobile-capable and serving mobile ads. If either one is not the case, work to implement these lucrative little banners. Restrict the geographic targeting for your ads, preferably to primarily English-speaking first world countries. Countries like the USA and Australia tend to pay much more per click than countries like India or China. Another strategy you can use, if you’re careful, is to just buy traffic. 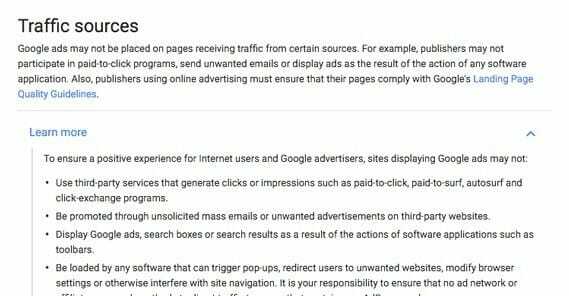 Google explicitly says that buying traffic is allowable, so long as you’re buying real traffic, not abusive bot traffic with the intent to defraud Google AdSense. What this means, in practice, is that buying traffic through ads on Facebook is fine, buying traffic through a guy on Fiverr selling bot services is not. The idea is to get real people, some way or another, even if it means spending more money. On the flip side, you need to be careful with buying traffic, because often times purchased traffic has a lower CTR than organic traffic, which cuts your profits. You also lack as much leeway to make money off of that traffic, because you’re paying to obtain it rather than obtaining it organically. In general, anything that boosts one of the relevant metrics – be it traffic acquisition, click rates for your ads, the value of individual clicks, or the number of click opportunities – will increase the amount you’re making from your ads over time. Now, AdSense is not really a sustainable platform to make a long-term living. Even with a decent amount of traffic and decent values, you’re still earning on par with a retail job. If you want to “work your way up” and achieve a much higher income from your site, you need to implement other forms of monetization. Affiliate marketing is generally the best go-to starting marketing path, primarily because it’s easy to start through a site like Amazon and it’s easy to ramp up. Beyond that you can create and sell your own products, or get into more advance businesses. Where you grow from there is up to you. How Many Hits per Day Should I Have Before Using Adsense? 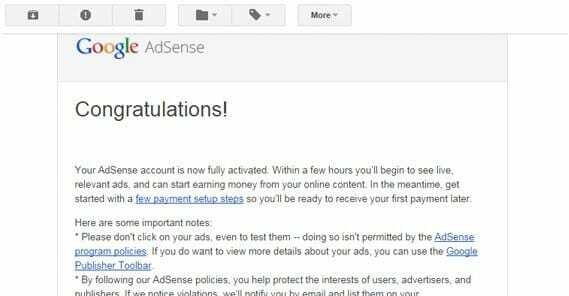 Should You Pay to Send Traffic to an AdSense Site? Hi James, Thanks for the inputs, It is really worth reading. I would like to take your suggestion, I have a blog which is running it from last 4 months and I have placed auto adsense ads but I am not making any earnings and visitors are quite low (3-10 per day), I have a total of 18 blog posts right now. Can you tell me how many blog posts should I write to see real income coming? Hi Mr Swati, it’s not all about writing more blog posts. There are lots of ways to generate traffic; social media, sharing with freinds, family, participating in forums; do anything you can do increase your traffic across all channels, not just your blog. If you are writing posts though, make sure they are lengthy, useful, filled with images, and optimized. Hope this helps! I think I will start my website but still I should earn equal to my domain price. Hi Masroor! That shoudn’t be terribly difficult; domains are $8-9/year on average, so that means you’ll only have to earn 75 cents per month to pay for your domain. The best way to get more ad revenue is to create more great content. If you’re a good writer, put it to the test and try blogging a few times per week to get your traffic numbers up!